Vietnam is one of the few places on earth that you can witness the beginnings of change right before your eyes. Vietnam is not a third world country.....it is a developing country. The ancient culture and lifestyle is still surviving alongside the growth and new development that is easing into the country from the north to the south. The bustling cities are racing to keep up with the rest of the world whereas a few kilometres outside the city - life goes on as it has for thousands of years with barely any change. Vietnamese women tend their fields in their traditional cone shaped hats while buffaloes pull wooden ploughs to plant the crops as they have done for centuries. 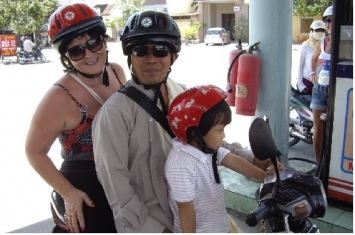 The main form of transport in Vietnam is motorbikes and it is not unusual to see the whole family, Mum, Dad and three kids on the one bike. There are millions of motorbikes in Vietnam and you could be forgiven for thinking that there were no road rules. 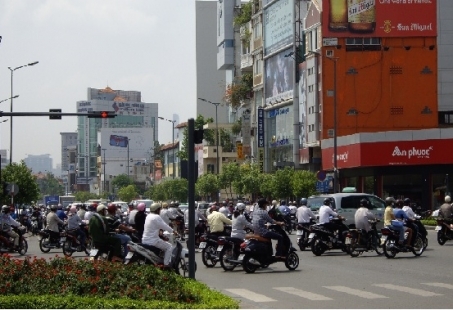 The constant sound of motorbike horns as they push their way through the traffic can be daunting however the Vietnamese people will tell you there is some order on the roads. The Scenery in Vietnam is breathtaking, particularly along the coast road. There are many inlets and islands that protect the shores with beautiful sandy beaches and the bluest of blue ocean. Ho Chi Minh City is the largest city in Vietnam (formerly known as Saigon) however if you are looking to experience the true Vietnamese culture and enjoy all that Vietnam has to offer I suggest you make your way out of the city to experience the real beauty of the country. Nha Trang is situated on the south central coast and boasts some of the best beaches in Vietnam. With the white sandy beach lined with swaying palm trees life in Nha Trang is certainly concentrated around the sea. The clear blue waters attract snorkelling and diving along the coral reef while local fishermen collect the fresh seafood for the day. With a myriad of dining, shopping and entertainment facilities there is something to suit every passion. Accommodation in Nha Trang is plentiful with most of the international resorts situated close to the beach. It is not difficult to see why this has fast become a tourist spot and the rate of development that can be seen in an indication that there is still a long way to go. Life in Nha Trang is laid back, easy and very cheap. There are quite a lot of westerners that now make Nha Trang home. People who have gone for a holiday and decided to stay. Westerners own restaurants, shops and businesses in Nha Trang, and there is even an “Aussie Bar” where the local Australians “hang out” and just enjoy the lifestyle. The markets are not to be missed with bargains galore. 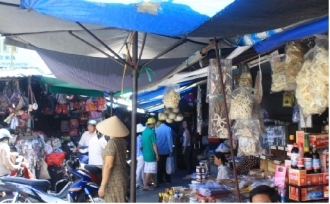 If you love to shop, you will love shopping in Vietnam. I found prices much less than in China and Hong Kong. Gents, a can of beer is 50c AU – need I say more...So now you may realise why some people go and don’t come home. 45 minutes on the motorbike, north along the coast road from Nha Trang is a beautiful beach called “North Beach” It’s very much a local’s beach and along the beach , on the sand, there are many restaurants selling fresh seafood. What an awesome atmosphere! Each table has a small cooker and you cook your own calamari, fish, prawns etc. You can then select additional items from the menu. Some BYO some other items such as fruit etc. 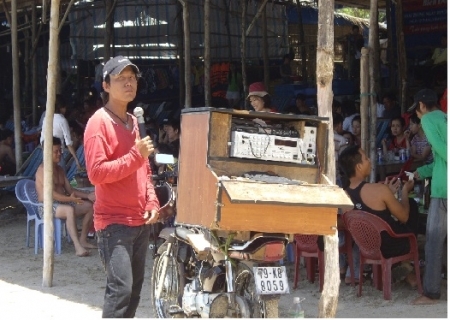 Everything goes on the bike in Vietnam - even the Karaoke machine. The kids play in the sand and swim in the water and if you’re still there at high tide the water laps at your feet while you are sitting in your deck chair. It’s definitely worth taking a drive there if you are in Nha Trang.